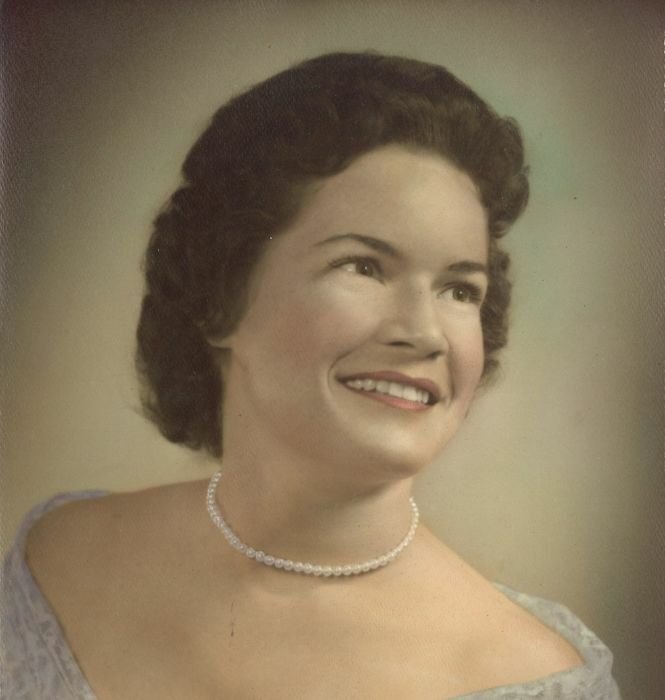 Flora Elizabeth Renshaw Petty, 80, of Jacksonville, FL passed away at her residence December 4, 2018. She was born May 10, 1938 in Charlton County Georgia to the late Walter Erwin Renshaw and Roxie Edna Chesser Renshaw. She was a graduate of St. George High School Class of 1956 and Attended Berry College. She was a faithful and devoted member of Victory Baptist Church in Jacksonville. Mrs. Petty was a teacher at Victory Christian Academy for 30 years where she taught kindergarten and 3rd grade and coached basketball and softball. Along with her parents, she was preceded in death by her husband of 32 years: James Walter Petty, Sr.; a son: Michael Petty; a brother: Erwin Renshaw; and 3-sisters: Ida Mae Lentz, Nina Dillon and Norma Renshaw. She is survived by her loving children: Bo Petty, Phyllis (Tony) Cowart, Angie Petty, Gregory (Susan) Petty and Kerry (Tom) Goddard; 4-brothers: Donald (Martha) Renshaw, Arthur Renshaw, Alva (Mary Jane) Renshaw, and Earl “Peanut” (Sue) Renshaw; her in-laws: Kline (Linda) Petty, Jim (Ann) Petty, Clayton Petty, Rodney Petty and Ruby (Everette) Sikes; 16-Grandchildren and 22-Great Grandchildren and a host of cousins, nieces, nephews and other relatives. The family will receive friends at Mrs. Petty’s home at 2306 Prospect Street, Jacksonville, FL 32208 beginning at 6PM Wednesday, December 5 and concluding December 6 at 8:00 PM. Funeral services will be held Friday, December 7 at 11:00 AM at Victory Baptist Church, 10613 Lem Turner, Jacksonville, FL 32218 with Rev. Matt Hollis and Rev. Gary Wheeler officiating. Burial will be in Sardis Cemetery in Folkston, Georgia. Pallbearers will be Michael Cowart, Kyle Cowart, Troy Cowart, Jason Petty, Timothy Suggs, Adam Suggs, Aaron Petty, and Scott Petty. Honorary Pallbearers will be Garrett Petty, Corwin Petty and Dalton Petty. Condolences may be expressed by signing the guest registry at www.shepardfh.com. Arrangements are under the direction of Shepard-Roberson Funeral Home, 526 Oakwood Street, Folkston, Georgia 31537.